Two stories sparked a thought this morning that inspired this blog. The first is a woman who wrote to me about possibly participating in our Tour and Train program. She started off by saying..."If I were twenty years younger...". I referred her to my recent blog "If I Could" and wrote to her that she is most welcome to join us. But what if I offered her another response? What if I had said, True, Krav Maga is only for young people, tough people, IDF style, only ages 18 - 21. What if we were that kind of Krav Maga, there would be no place for a person like her. Fortunately we are Krav Maga for everyone. Why? because even people past the prime of their youth need to defend themselves. As we say in our prayers...Do not abandon us in our old age, do not abandon us as our strength diminishes. Amazing how we ask so much of God but so little of our ourselves. After this I watched a video about an Israeli British woman, not a young woman, who was the victim of terrorism. She and her client were touring and hiking when approached by two Arabs. They were held at knife point for over half an hour, neither had a clue what to do. Eventually they were both hacked with machetes, but one survived. The Christian tourist, who was thought to be Jewish, was hacked to death while her Jewish tour guide miraculously survived despite over 30 fractured bones. But she fought back and the DNA of the Arab killers was on her pen. This led to their conviction. Now you may not have the time or the inclination to come to class five days per week as I did when I was training. But you can do something. And that something might save your life. 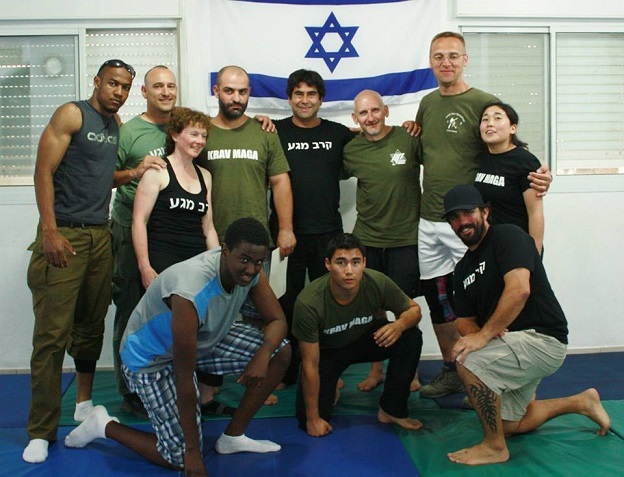 Tour and Train, bringing people from all over the world to Israel to train together in Krav Maga.